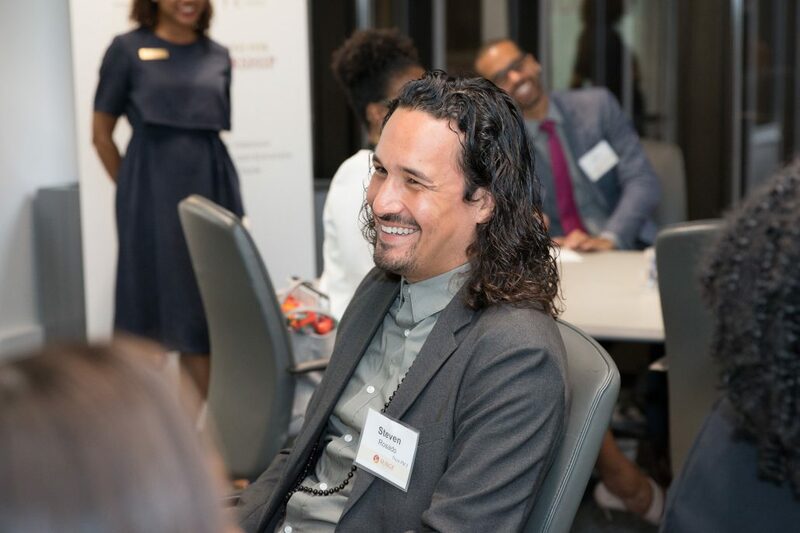 As the 2019 Surge Fellowship program began, The Field Foundation announced 2019 Surge Fellow, Steven Rosado, as the recipient of their Field Leader Award. The Field Leader Award is a highly-selective honor given to an individual leader working at a Field Foundation grantee organization. It is designed to promote visionaries across Chicago by building social capital, skillsets, networks, and exposure. Steven is the Senior Program Director, Citywide Youth Councils at Mikva Challenge and was selected as a Surge fellow in September of this year. With over 10 years of experience in the field, a focus on social justice, youth development, and policy – Steven is a strong candidate to receive the award. A native Chicago resident and staff member at Mikva Challenge since July 2014, Steven’s experience includes strengthening youth participation in the formation, implementation, and evaluation of public policy in city government around a variety of issue areas such as education, health and wellness, housing, juvenile justice, and youth safety. Steven at Surge Chicago 2019 Fellowship selection days. Joanna Vazquez Zelaya is a 2018 Surge Alumna, a graduate of the inaugural Oakland Surge Cohort, the Alchemists. Joanna Vazquez is an advocate for students who find themselves at the intersection of identities and is leading Oakland’s charge in designing Linked Learning high schools across the city in order transform the experience of students within the classroom to engage students in contextualized and relevant learning. Joanna is committed to fulfilling Oakland’s hope of preparing students for college, career, and community in more intentional and responsive manner that is conscious of the complex interests of young people. Her passion for social justice, educational equity, and holistic development of young people stems from upbringing in Fullerton, CA as a first generation high school and college graduate. The oldest of four siblings, Joanna took the role of educator, mentor, translator, and connector between the world and her family as she helped them navigate and translate systems and experiences from a very young age. As a first-generation high school graduate and a product of the public education system, Joanna has first-hand knowledge and experience of what it is like to be an underserved student with high aspirations and immense cultural and aspirational wealth and capital. Subsequently, as a first generation college graduate, Joanna has first-hand knowledge and experience of navigating complex systems and structures. 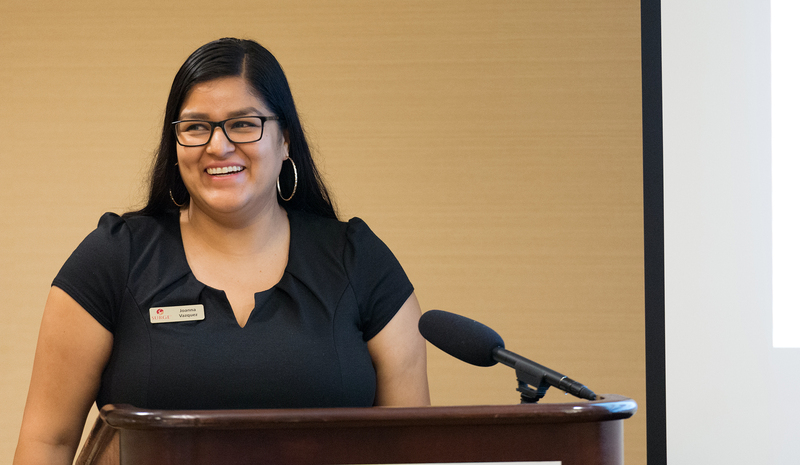 Joanna is committed to fulfilling Oakland’s hope of preparing students for college, career, and community in more intentional and responsive manner that is conscious of the complex interests of young people. She continues to use her strengths to work with school and district leaders to challenge themselves to reimagine and redesign the high school experience of Oakland youth. Joanna continues to hone her skills and abilities to discuss complex educational theories and concepts and translate them to into tangible strategies and process that can be operationalized. Joanna holds a BA from the University of California, Los Angeles in Psychology and Chicana/o Studies with minors in Education, Gender Studies, and Labor Studies. Joanna currently serves as a mentor through the East Bay College Fund and is a member of the Surge Institute’s Inaugural Oakland Fellowship (2018). Joanna embodies her cultural traditions as a storyteller who shares her journey and experiences within her intersectional identities and is currently working on a podcast to do just that with a larger audience. #SurgeForMore Giving Event Brings in Largest Total Ever! Our 2018 #SurgeForMore seven-days of online giving has come to a close, and once again, we saw an inspiring flood of support from our growing community of change agents. Through your generosity, we surpassed our lofty goal of $75,000 in support of programming to develop, elevate and unite emerging education leaders of color, who impact our communities. With an incredible grand total of $104,137, we blew that goal out of the water and raised more than double our 2017 #SurgeForMore total, all while gaining a multitude of new donors across the nation. This record-breaking achievement could not have been possible without such generous donations from you, our passionate supporters! We are thrilled to share our appreciation for the loud voices and valiant efforts of our Surge Fellow and Alumni family, who raised more than $15,000 toward the grand total. We would also like to give special thanks to our generous match donors: two anonymous supporters provided $20,000 and $5,000, respectively, and the Walter & Elise Haas Fund provided $5,000! Finally, we want to acknowledge an amazing $35,000 donation from an anonymous donor, a deeply heartwarming show of love and passion for our movement and mission! We are greatly appreciative to all who donated during our #SurgeForMore seven-days of giving, and thank you for your love and support of this work. We could not do it without you. If you haven’t had a chance to give, it’s never too late! In fact, you can join our Impact Community of investors, who have committed to supporting this movement with a monthly reoccurring donation. Thank you for being a part of this movement, and have a wonderful holiday season! https://www.surgeinstitute.org/wp-content/uploads/2015/04/logo.png 0 0 Chris Paicely https://www.surgeinstitute.org/wp-content/uploads/2015/04/logo.png Chris Paicely2018-12-16 09:06:532018-12-18 15:36:48#SurgeForMore Giving Event Brings in Largest Total Ever! 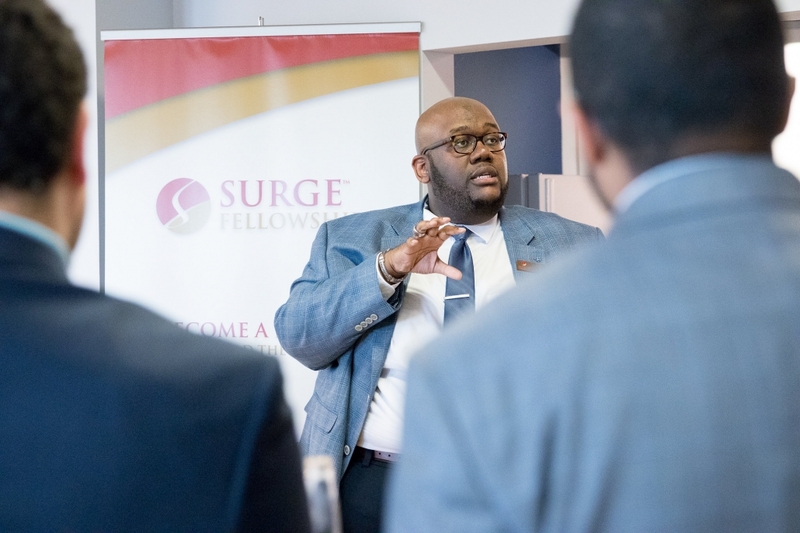 The Surge Institute is proud to announce that 2017 Surge Fellowship Alumnus William J. Collins has joined our leadership team as Vice President of Development and External Affairs. In this role, William will serve the Surge mission by leading our fundraising and partnership-building strategies, overseeing a team focused on securing the future sustainability and growth of our movement. William will work closely with Founder and President Carmita Semaan, as well as the Surge national team to achieve these needs. We are honored and proud to call William a member of the team. William previously served as Vice President of External Affairs for OneGoal-Chicago, a college access and persistence organization working towards closing the college divide for young people across the country. In this role, William’s mission was to ensure OneGoal-Chicago maintained its financial stability by maintaining and growing a diversified and sustainable investor base, building efficiencies of scale to keep the revenue goal manageable and increase awareness and the sense of urgency to close the college degree divide within the Chicago as well as build OneGoal’s reputation as a leader in the college access and success movement and elevate the voices and stories of the OneGoal community. Beginning his career in corporate America, William’s business acumen, strategic thinking and financial prowess allowed him to climb the ranks at several Fortune 500 companies, including Target and The Home Depot. Despite his corporate success, William constantly sought to fill a void in his life. It was in his decision to become an educator, following in the footsteps of his mother — an educator serving Chicago Public Schools for over three decades — when William knew he had found his calling. William has always believed that life’s most important and urgent question is, “What are you doing for others?” To that end, William left a lucrative career in the corporate world in 2009 and pursued a career in teaching. For six years, William taught economics and finance at the award-winning Chicago High School for Agricultural Sciences, of which he is an alumnus. While there, he made lifelong connections with his students through education and mentoring. In 2013, William received the Chicago Public Schools’ Exemplary Teacher Award from the Office of College and Career Success, which recognized him for his demonstrated excellence in teaching and learning and for exceptional contributions to the profession. William holds a Master of Education in curriculum studies and administration from DePaul University and a Bachelor of Science in economics from the University of Minnesota-Twin Cities, to which he received a full academic scholarship. In 2014, he was selected as an Education Pioneers Fellow, where he completed a strategic review of the resource allocation process for the Office of Diverse Learners Supports and Services at the Chicago Public Schools’ Central Office. That same year, he also wrote a full-length essay entitled,“Education, Democracy and Social Discourse: A Contemporary Response to George S. Counts and Boyd H. Bode” in the Schools: Studies in Education journal, published by the University of Chicago. In 2016, William was named one of Chicago’s Top 35 Under 35 Making an Impact by Chicago Scholars. During this same year, William was welcomed to the third cohort of Fellows for the Surge Institute, an elite leadership accelerator that was designed to identify and groom emerging talent in education and provide them with leadership development as well as access to networks and visibility, empowering them to bring new ideas, perspectives and solutions that change the landscape of education. William is an authentic and passionate leader who has dedicated his career to moving the needle of college completion for the marginalized and oppressed. As a native of the South Side of Chicago, he saw the value of education as a means to escape adversity. He fundamentally believes that every student deserves the chance to attain a college degree and the life that comes with it. He is also an active member of Alpha Phi Alpha Fraternity Inc. and a committed mentor to many college students. William is a music enthusiast and an avid international traveler. He currently resides in Chicago, IL. From an impressive pool of applicants, 25 African American and Latinx leaders were selected for the 2019 Chicago Fellowship program. In October, the 2019 cohort will begin the year-long program in October, which grooms emerging diverse talent, empowering them to change the landscape of education by providing them with unique leadership and advocacy skills. “I believe that it is important for our African American and Latinx youth to see leaders who look like them, working together and fighting for educational access and advancement in order to cultivate strong leaders and even stronger communities,” concluded Owens. 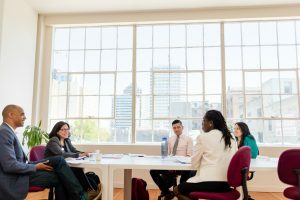 The Surge Fellowship program provides fellows with executive skill training, leadership development and a space for connection; and in doing so equips fellows with the tools and networks needed to facilitate transformative change within institutions and organizations serving youth and communities of color. Graduating fellows become part of an elite and growing national network of Surge Alumni. As of August 2018, Surge has more than 80 fellowship alumni leading change in cities across the U.S.
Eleven leaders from across the Bay Area education landscape, have been selected for the 2019 Surge Oakland Fellowship program. The year-long cohort based program unites, accelerates and empowers emerging leaders of color in education. 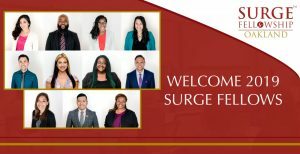 The Surge Institute officially began serving Bay Area communities in January 2018 with the opening of their west coast office and kickoff of an inaugural Oakland Surge Fellowship. Both the inaugural and 2019 cohorts (each) consist of eleven African American, Latinx and Asian/Pacific Islander emerging education leaders. “What I love about Surge’s vision is that it’s not just focused on developing my capacity in my role, but it’s about equipping me to transform the education ecosystem alongside other educational leaders … equipping us for widespread impact,” shared 2019 Surge Oakland Fellow, Janelle Bailey, Interim Site Director/Academic Affairs Director at College Track. Program Manager for Surge Oakland, Yvonne Rodriguez and Surge Executive Coach, Brian Gadsden, meet with candidates on selection day. Over the course of the Fellowship program, fellows will receive executive skill training, leadership development, a space for connection, and the tools and networks needed to facilitate transformative change within institutions and organizations serving youth and communities of color. The cohort will also develop their own leadership and advocacy skills. As a culminating final step of the program, Fellows will complete individual capstone projects to advance the work of a new or existing Oakland education initiative. “I’m inspired by Surge’s investment in leaders of color and I’m excited to build on my experience through the intentional, accelerated leadership development of the Surge Fellowship in a network of African American, Latinx, and Asian-Pacific Islander educators,” continued Bailey. Graduating fellows become part of an elite and growing national network of Surge Alumni. In 2018 there will be over 80 Surge Fellowship Alumni leading change in cities across the US. Randal Seriguchi Jr. is a 2018 Surge Fellow (Oakland). He also wants to compete with the school-to-prison pipeline and believes that every child can learn at high levels when given the right tools, adult leadership, and environment to thrive. As the Executive Director of Urban Ed Academy, Randy has created a strong web of multi-sector partnerships that has resulted in a robust portfolio of funders, deeper relationships with the city, and the pending transformation of a neighborhood liquor store into a technology learning center. Randy and his team presenting to judges during the 2018 Oakland Shark Tank presentations. Randy Seriguchi, Jr. is the Executive Director of Urban Ed Academy (UEA), a non-profit based in Bayview Hunters Point in San Francisco, CA that serves elementary school boys of color. He believes success for our boys should come by any means necessary. Money, resources, and time should be spent until we get our intended result: focused development of boys who will become productive men. In another life, Randy is a scratch golfer and has a photographic memory. In this life, he is a hall of fame shower soloist, a mama’s boy, and makes a mean omelet. In Surge’s continued mission to elevate the growing network of alumni, we are proud to pull back the curtain on Surge Angels, a Walton Family Foundation-funded pilot program that will allow our more entrepreneurial alumni the opportunity to secure funding, guidance, and support in taking their innovative ventures to the next level. 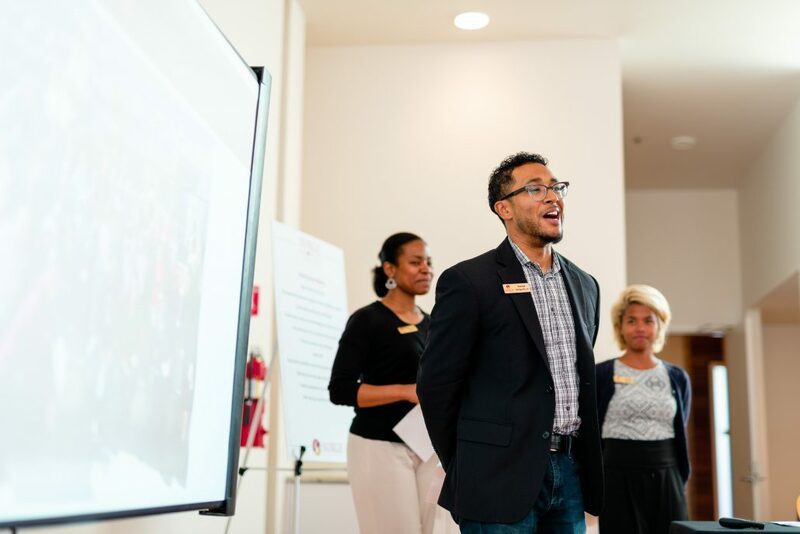 This initiative connects 10 Surge Alumni as they develop eight ventures that will elevate their voice, influence, and impact in the urban education. Among those ventures are education consultancy firms, youth counseling programs, and teacher development initiatives, all with the ultimate goal of improving education for our communities. Surge Angels consists of a series of four sessions, in which the group collects to engage with experts in business growth and social impact, such as Maslow Development founder and Surge Faculty member Derwin Sisnett and Megan Kashner, an assistant professor and Director of Social Impact at Northwestern University’s Kellogg School of Management. The program culminates in June with a pitch competition, in which the alumni will seek funding and recognition for their ventures. Shenita Johnson from the 2017 cohort said about the program, “The launch of this venture under the Surge Angels umbrella is illustrative of how the ecosystem can and will foster improved outcomes for black and brown children.” Surge Angels is one of several initiatives in which Surge seeks to support leaders of color well beyond their time in the fellowship.